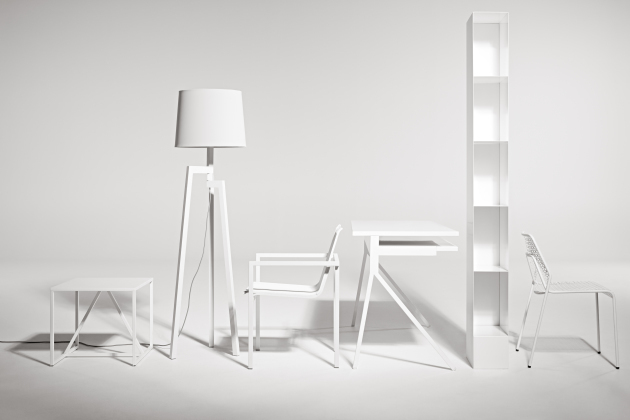 Blu Dot, the Minneapolis-based manufacturer of modern furniture, will not have one of its wildly popular but infrequent warehouse sales this summer. Or ever again for the foreseeable future. But there's an upside. They're being replaced with an outlet store expected to open in early July, said Blu Dot vice-president Medora Danz Friday. The store will sell discounted closeouts, samples and scratch and dent merchandise. Sofas, sectionals, and chairs were popular sellers at previous warehouse sales. "As our needs for warehouse space grew, there wasn't enough capacity for warehouse sales anymore," she said. With limited storage space for warehouse items and a big hassle factor in holding the sale, Danz said the outlet was the obvious alternative. Another reason is that Blu Dot is adding its first outlet store is the likelihood of more product samples. The company plans to start sending out more catalogs this year, Danz said. The new store will be located at the current location of the company offices at 1323 Tyler St. NE in Minneapolis and open Saturdays and Sundays only to start. The offices will move next door and the warehouse in Rogers, where the former sales were held, will move to Otsego. Blu Dot designs all of its furniture in Minnesota but some of it is manufactured overseas. Much of the line is sold at Roam in Uptown. The company has also made selected designs for Target, including the Too line. No word on whether coffee and pastries will be served to those waiting in line, as Blu Dot employees did for the hordes who waited in line before the doors opned at the warehouse sales.The last warehouse sale was in 2013 in Rogers. Job postings for outlet employees and a store manager will be posted next week.